Google is being taken to court by the Swiss data protection watchdog over an alleged failure to protect people's privacy in its Street View service. Google Street View has come under criticism in the past, but not legal action – until now. 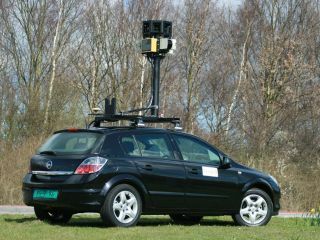 "In the Street View service, which has been online since mid August 2009, numerous faces and vehicle number plates are not made sufficiently unrecognisable from the point of view of data protection, especially where the persons concerned are shown in sensitive locations, e.g. outside hospitals, prisons or schools," said the Federal Data Protection and Information Commission (FDPIC). "In its written response on 14 October 2009, Google for the most part declined to comply with the requests." And it doesn't stop there; FDPIC is also critical of the height of the Google Street View camera suggesting: "It provides a view over fences, hedges and walls, with the result that people see more on Street View than can been seen by a normal passerby in the street. "This means that privacy in enclosed areas (gardens, yards) is no longer guaranteed." It's a very Swiss response to the problem, as opposed to a mob of angry luddites.